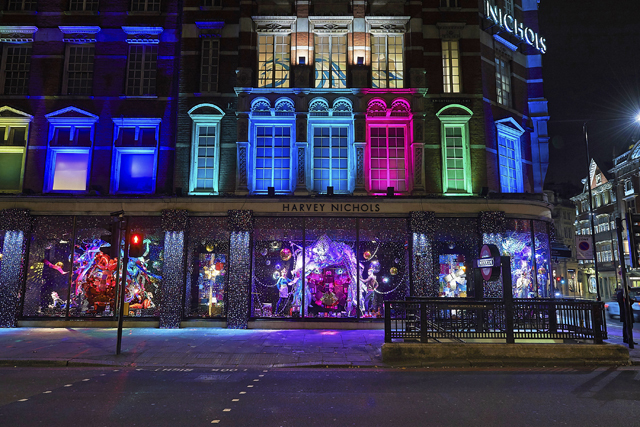 And we're off.... Christmas is just around the bend and the first horse out of the gate in the race to please the holiday shopper is.... drumroll, please... Harvey Nichols. 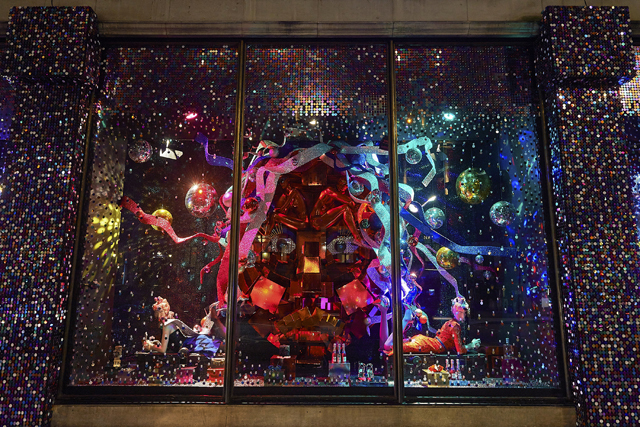 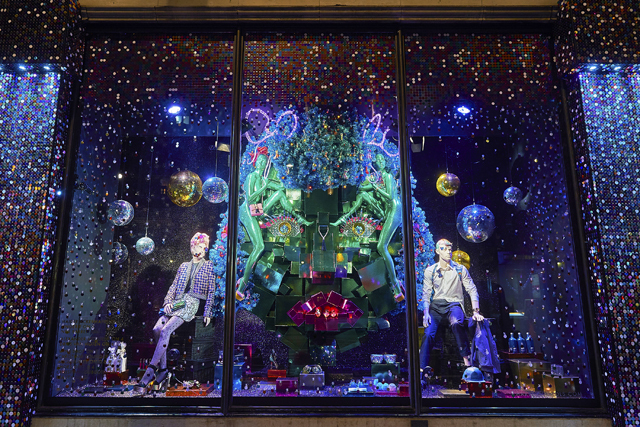 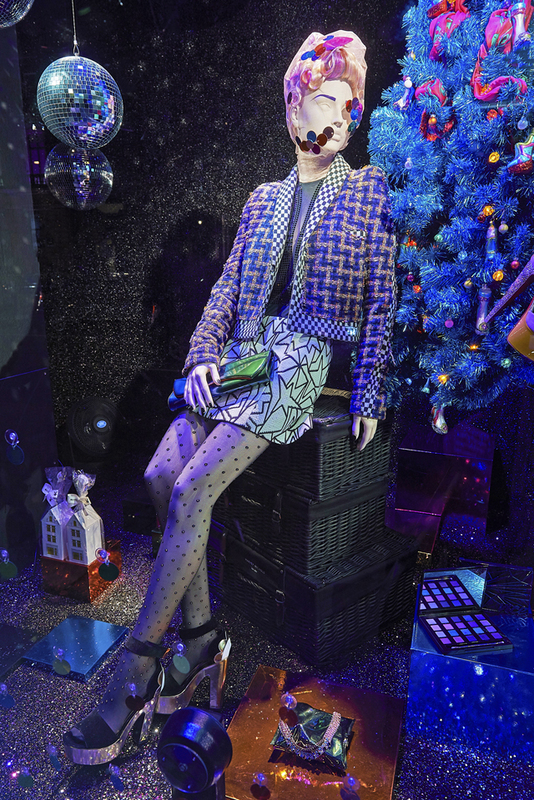 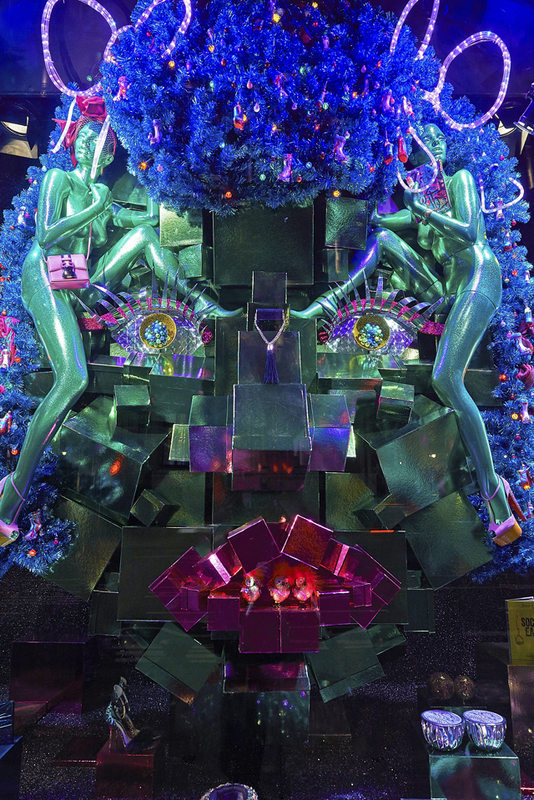 The Christmas windows at Harvey Nichols this year are anything but understated. 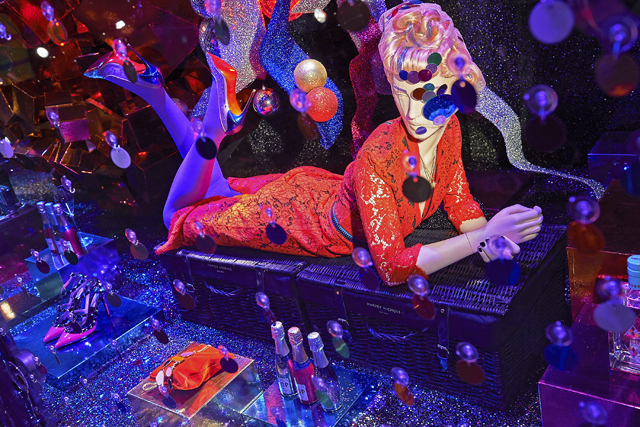 It's truly a technicolour dream. 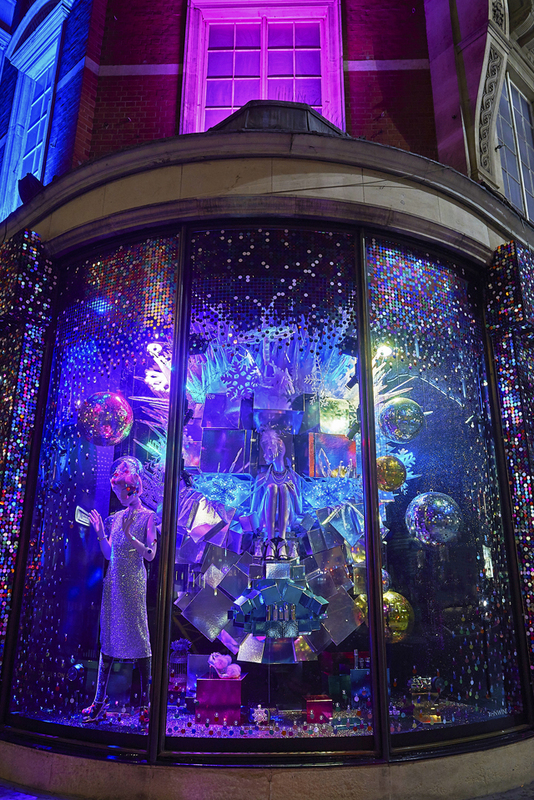 There's more glitter and neon on show here than the craziest night at Studio 54 ever saw (although apparently the haunt was inspiration for the windows themselves... imagine that). 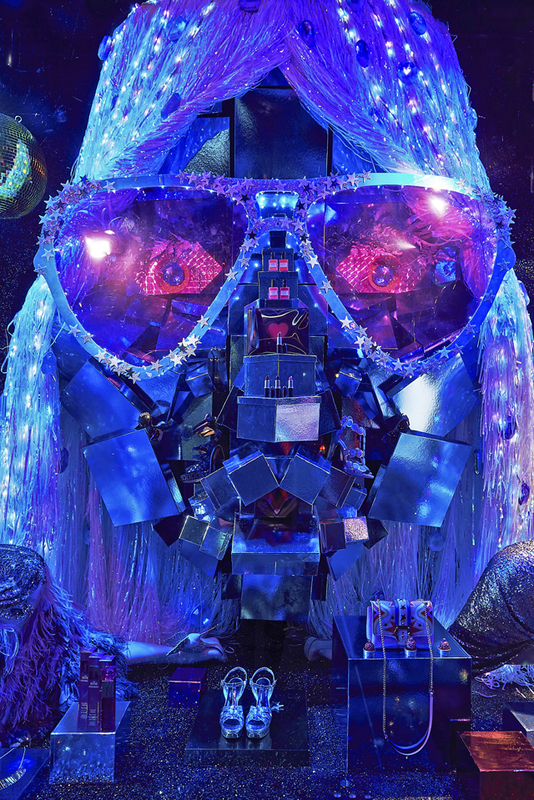 Truly, this is like walking past a living, breathing disco ball. 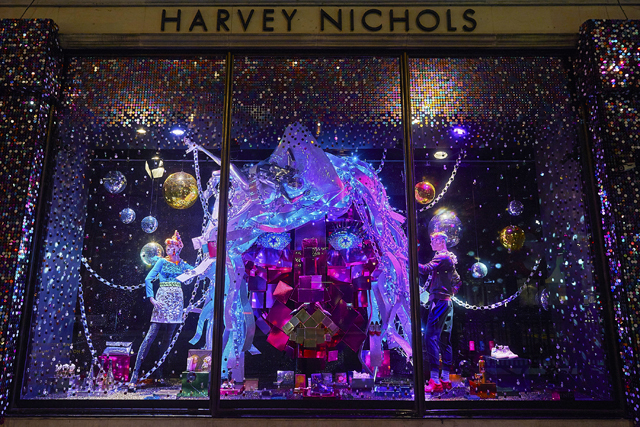 The party, people, is definitely at Harvey Nic's for Christmas. 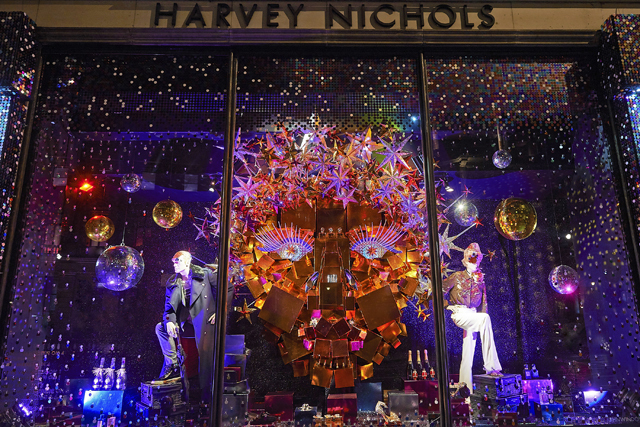 You will have to wear blinders to go through Knightsbridge if you intend on missing this louder than life experience.